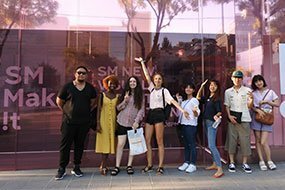 Korean and K-pop Course is perfect for those who want to learn Korean and enjoy K-pop at the same time. You attend Regular Korean Course in the morning and K-pop course in the afternoon. 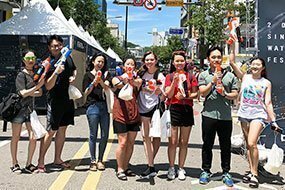 In Regular Korean Course, you take practical and comprehensive(speaking, listening, reading and writing) Korean lessons. Through the course, you will become confident and fluent in Korean. On K-pop vocal lesson, the professional singer-songwriter/former idol teaches you how to pronounciate and sing your favorite K-pop song. 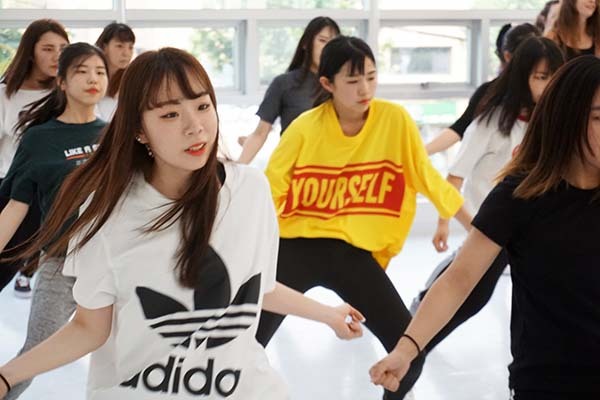 On K-pop dance lesson, beginner friendly professional dance instructor teaches each moves step-by-step. You might not join some of afternoon social programs due to time overlap with afternoon classes. *Lesson hours can be adjusted if there are less than or equal to two students in a class. 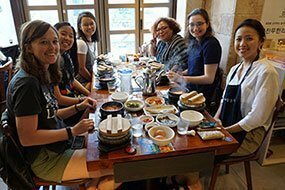 This course teaches practical Korean expressions that are useful in real-life situations. Learn to ask and answer questions that are suitable for daily life in Korea. Twice a week, 70 minutes per lesson, taught by a professional dancer. Learn trendy K-pop choreographies every month. Beginner friendly, easy to follow step-by-step instruction. Shoot a video at the end of the course to see the progress. Two hours a week, taught by a professional singer-songwriter/former idol. Pronunciation training and strengthen vocal muscles. Record you singing at the end of the course and see the progress.